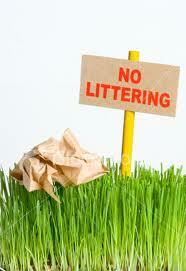 No littering, and lift if you are on the road, on-site camping, etc.., Disposed of in the right place. 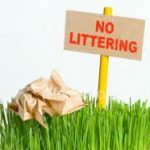 If in our country there is the possibility of dividing the garbage for recycling (in organic, paper, glass, plastics and packaging, etc..) Separate it into different bags to do so right there if I could, or around our output. Particularly toxic waste and should never be discarded in nature are the batteries, even as they may contain heavy metals that pollute nearby waterways or groundwater in addition to the land. On the other hand, we know that, for example, activities such as hunting and its associated waste (ammunition bullets or lead shot), cause high mortality among birds then eat plants grown in soil contaminated with the heavy metal. Some types may take more than 500 years to decompose, so consider take all your garbage back to the city.